Is this the world's most bird-friendly coffee? Truly, is there anything more pleasing than a fresh pot of coffee? Hot water mixes with the oils seeping out from the coarsely ground beans, waiting to be forced into emulsion as you lower the plunger on the French press? It would not be hyperbole to say that the hard work of writing day in and day out about the science of wildlife and conservation biology in the Earth Touch offices would be wholly impossible were it not for a constant supply of the liquid gold. But is it good for wildlife? Liquid gold is a term usually applied to oil, but the comparison is apt. Indeed, the global trade in coffee is worth some $100 billion dollars annually, the second most valuable international commodity after oil. The problem is that growing coffee could come at the expense of bird conservation. Birds are particularly threatened in today's human-dominated landscapes. Nearly a quarter of all bird species are classified as threatened or near threatened, and the vast majority of those are found in the tropics – the same tropics in which forests are being rapidly converted for agriculture, resulting in habitat loss for hundreds of species across the tree of life. The same tropics that host coffee plantations. In Ethiopia, agriculture accounts for 80% of employment, and the primary crop is coffee. It's also home to one of the most rapidly growing human populations on earth, which means that forests are being converted for human uses even more rapidly there than elsewhere. The eastern African nation lies at the boundary of two global biodiversity hotspots: the Eastern Afromontane and the Horn of Africa. It is located on the African-Eurasian migratory flyway, an important travel route for migratory birds. Despite the minimal attention paid to the nation by ornithologists – it is, after all, located in a fairly unstable region of the continent, neighboured by Somalia, Kenya, North and South Sudan, and Eritrea – at least 860 bird species have been identified in Ethiopia. Thirty-two of them are endemic to the country's highlands, meaning they're found there and nowhere else on the planet. Can our global need for caffeine be reconciled with the need to preserve some of the planet's most unique avian biodiversity? Ethiopia is home of the prized Arabica coffee, a strain that comprises two thirds of the global coffee trade. It's been cultivated there for more than one thousand years. Coffee harvesting in Ethiopia spans a wide range, from the harvest of wild beans in natural forests to monoculture sun coffee farms. In the middle is shade-grown coffee. 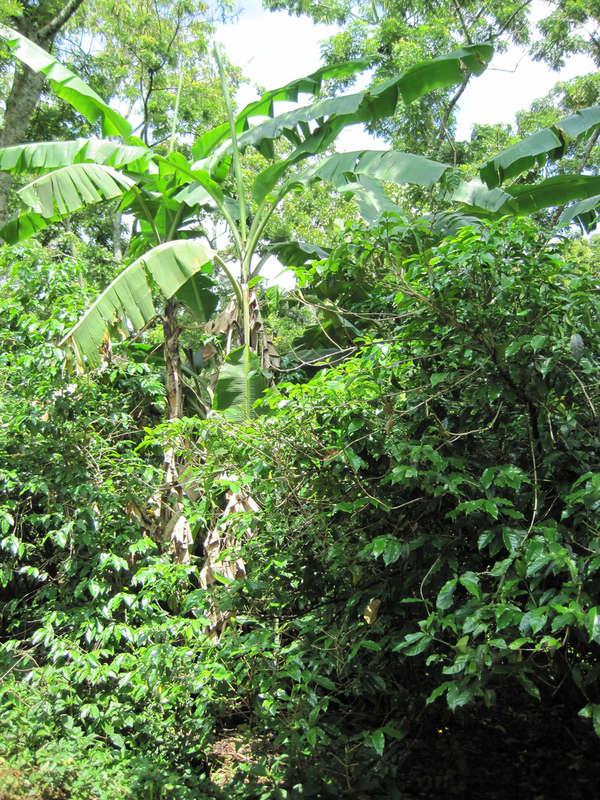 Coffee plants are small shrubs that, in the wild, grow under the shade of taller trees. That means that coffee can be cultivated in shade coffee farms, which allow the crops to be grown under the shade of forest trees. Rather than razing entire forests, farmers instead maintain much of the natural forest communities while taking advantage of the fact that coffee does not need direct access to sunlight to grow. Shade-grown coffee is a form of 'agroforestry', a technique that combines a mixture of trees, shrubs and crops. "[It] is particularly valuable for biodiversity conservation, especially when native tree species are present," argued University of Utah biologist Evan R. Buechley recently in the journal Biological Conservation. The nation has a long history of shade coffee farming, but farmers are increasingly motivated to opt for sun farms instead. It's not a perfect system. Because sun farms do not mimic the coffee plants' natural ecology, individual plants actually produce fewer viable coffee beans, of lower quality, per plant. Sun farms also face problems with pollination and with pest outbreaks because they are not bird-friendly. The loss of birds as a natural means of pest control increases the farmers' reliance on pesticides, which further degrade the ecosystem. But the coffee produced on a sun farm can be mechanically harvested, which allows farmers a higher yield per hectare compared to shade farms. Because most of the forests of Ethiopia have already been disturbed by human activity, determining which agricultural systems have the highest conservation value is a pressing need. That's why Buechley and his colleagues set out to compare bird diversity in Ethiopia's shade-grown coffee farms and in nearby natural forests. They focused on the Oromia Region of southwestern Ethiopia, an area in the heart of the country's coffee production and the region where Coffea arabica was first domesticated from wild varieties. The researchers took a bird census by using a technique called mist netting on four shade coffee farms and in three areas of undisturbed moist montane forest. Mist nets resemble volleyball nets and, when properly deployed, are all but invisible to birds and bats. As they wing their way into them, they become briefly entangled, allowing skilled biologists to safely disentangle them without any injury to the bird. Over the course of nearly 20,000 'net hours', the researchers identified almost 1,700 individuals from 71 bird species. Most of them were captured in shade coffee farms, while 411 were netted in natural forests. Together, shade coffee farms had more than double the species richness of forests. "The fact that every species we captured in forest was also captured in shade coffee indicates that forest specialist birds may use shade coffee farms in Ethiopia even more than they do in other regions of the world," write the researchers. Of nine migratory species, eight of them were only ever captured in shade coffee farms. That could reflect the fact that the shade farms were more intensively surveyed than forests (four sites compared to three), or simply that a larger swath of the landscape is covered by farm than forest. 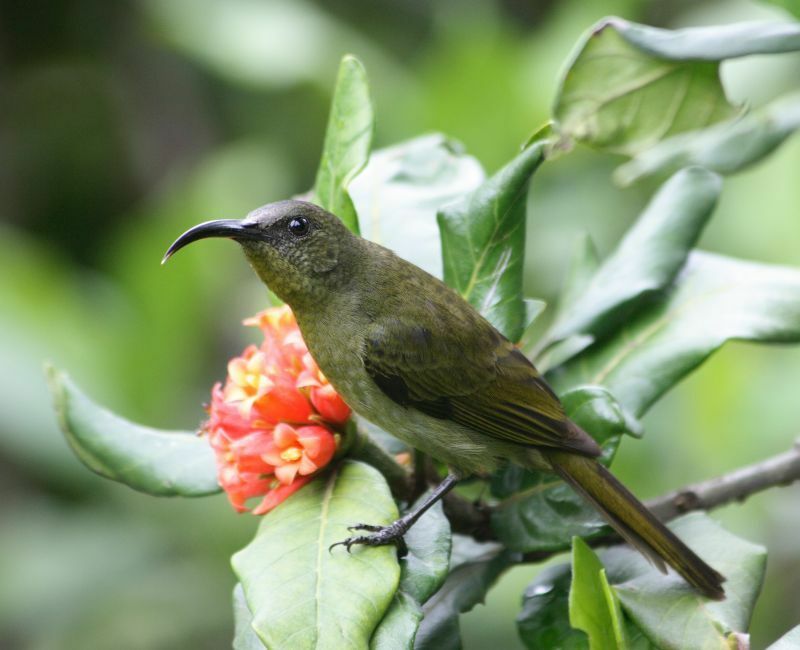 Birds that are thought of as requiring pristine forests to thrive, like the lemon dove, Abyssinian ground-thrush, eastern olive sunbird and the green-backed twinspott, were found in shade coffee farms at all ages and, for females, at all stages of the breeding cycle, leading researchers to suspect that the farms can possibly provide useful breeding habitat. The researchers attribute this to the lack of pesticide use in shade coffee plantations. But not all shade farms are created equal. When native trees are replaced with economically valuable ones that produce fruit and timber, those farms are likely less useful to Ethiopia's birds. And even where a diverse group of native trees remains, shade coffee farming involves clearing much of the sapling, shrubs and other plant life beneath the forest canopy. Shade coffee is not equivalent to natural forests – it is simply preferable to sun coffee. Even so, shade coffee plantations could still serve as important wildlife corridors. By providing a physical connection between patches of more undisturbed forests, the farms could act as 'stepping stones', allowing birds to move between preferable habitats, like the freeway underpasses that allow mountain lions or bobcats to avoid being hit by cars as they traverse the landscape. For all their value, shade coffee farms are not perfect replacements for natural forests. A comprehensive approach to bird conservation in the African tropics still requires the preservation of undisturbed (or little-disturbed) regions of moist Afro-tropical forests. And yet "the high species richness, diversity, and presence of forest specialist species in organic shade coffee farms in this region are encouraging findings illustrating the potential importance of shade coffee farms for bird conservation in Africa," conclude the researchers. Meaning that this could be the world's most bird-friendly coffee. According to science and social media, mantises all over the globe are in the habit of grabbing tasty birds right out of the sky!